So when you get an hour for lunch and you’re in the heart of London, its easy to jump on a bus or tube and head elsewhere. And that’s exactly what we did, after finding a two for one offer on-line for La Tasca, James Street we headed to Bond Street station. 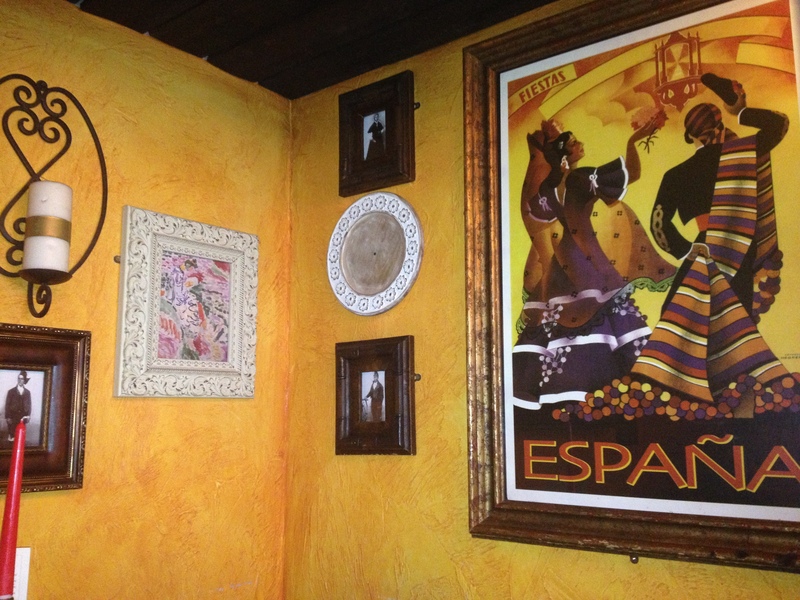 With limited time, we were seated straight away, looking around the restaurant your greeted with that Spanish feel and vibe, from the music to the décor. 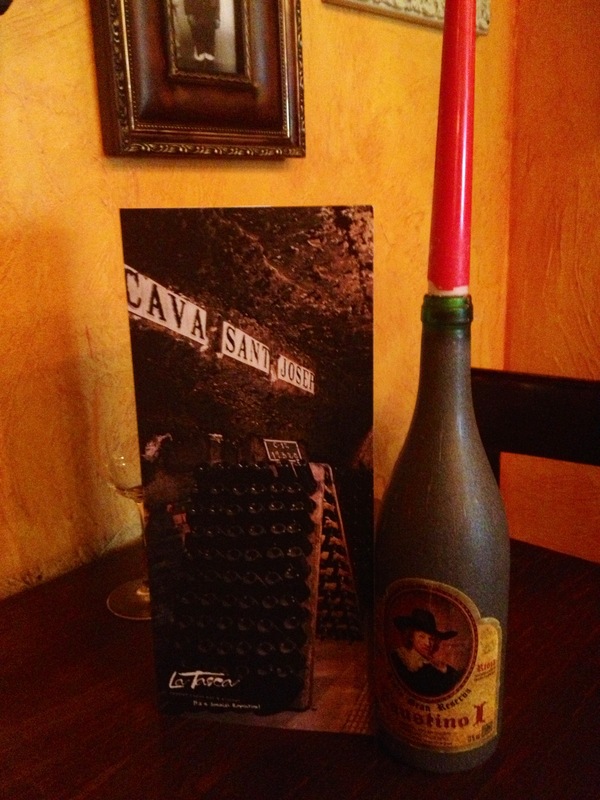 La Tasca would make a great dinner party venue with friends and family. 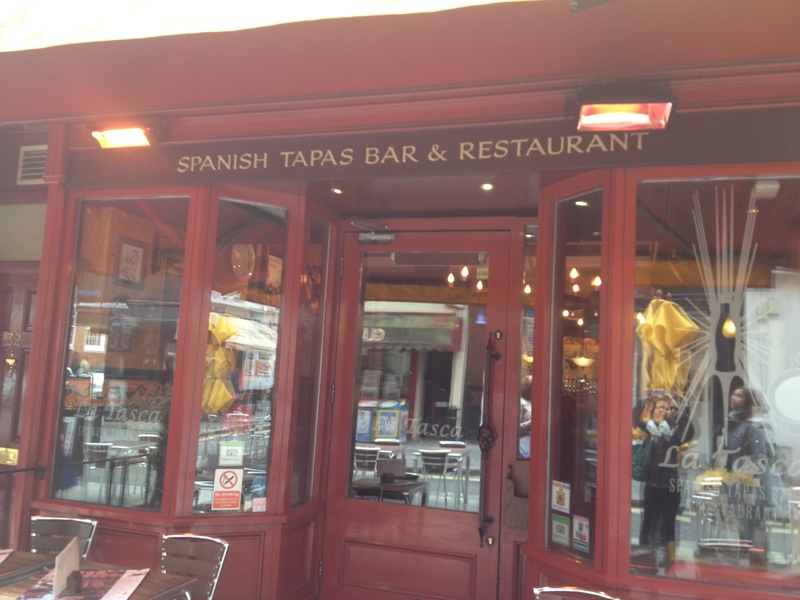 We dived straight into the drinks menu, and ordered the La Tasca Sangría Tradicional for £3.70 which was served with fresh fruit and a special spirit mix. As soon as it arrived we were excited! Seeing that the British weather hasn’t been great recently, we felt we needed that sunshine feeling and the Sangria did just that. It was luscious, we could have easily had a few more glasses. 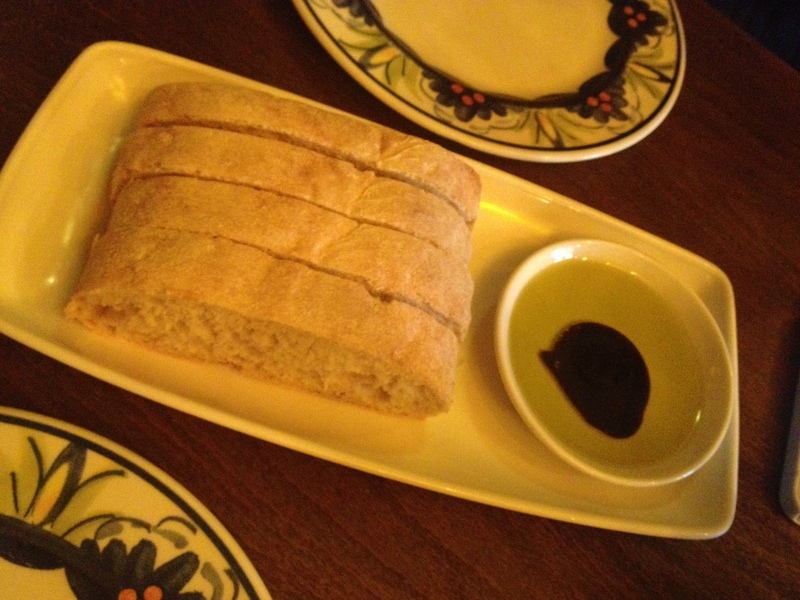 Although not on the offer, we started our lunch with the Bread and Oils (£2.25) the bread was lovely and soft, the oil and balsamic vinegar dressing combination was even better, I could have easily just eaten that on its own. 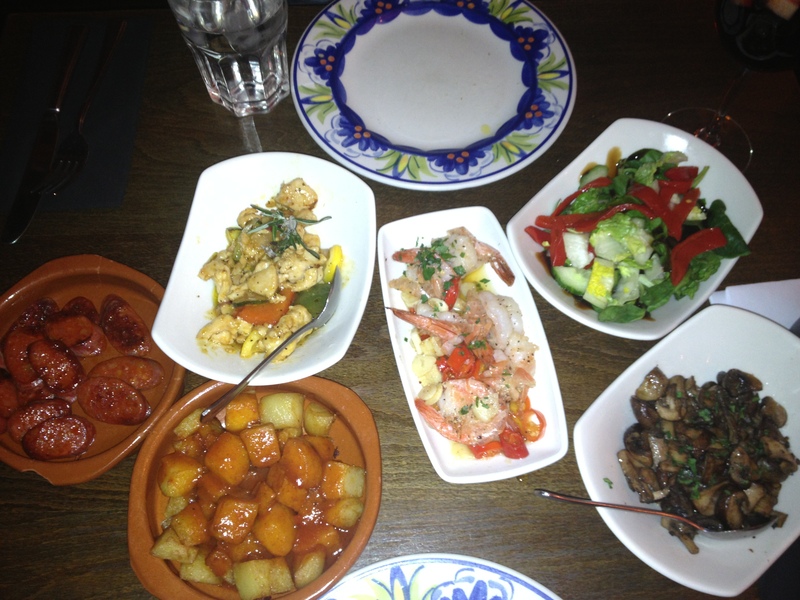 With the offer of two for one on all Tapas to Share selection of the main menu, we ordered the following few dishes. From the Sea section: Gambas al Ajillo (butterfly prawns in chilli and garlic oil £5.95), from the Vegetable Garden section: Patatas Bravas (fried potato in a tomato sauce £3.35) and A Festival of Mushrooms (mushrooms in a garlic butter and wine £3.95). From the Field section Chorizo and Spanish-Style Lemon Chicken and Vegetables £4.75, we also had the La Tasca House Salad (leaf greens, peppers and cucumber with a balsamic dressing £2.95) from the Salad Garden section. The flavours and combinations of the tapas were to die for, with such a huge selection and variety in the menu you are spoilt for choice. It all tasted great, my favourite was the lemon chicken, the mushrooms were good but nothing special, the prawns and salad were lovely. We were stuffed. Keep an eye out of offers for La Tasca as it’s definitely worth using these, but not to worry if not, prices are not too bad we spent £11 each including service charge. 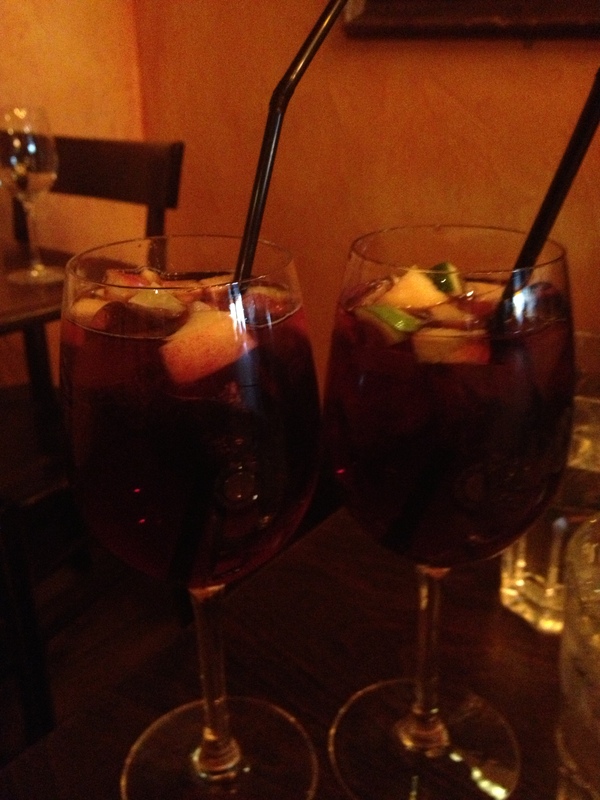 The atmosphere, food and especially the sangria were great and I’m looking forward to visiting again.